India - open jaw flights from Moscow return to Frankfurt €218! 5* EVA Air non-stop flights London – Bangkok for £367 (€431)! Return flights from Benelux to Chile from €522! India – open jaw flights from Moscow return to Frankfurt €218! Some budget solution to India is available thanks to Gulf Air promotional sale. Open jaw flights from Moscow to New Delhi and returning from Mumbai back to Frankfurt are now available already for €218! All charges and checked luggage are included. As you will most likely need Russian visa we strongly recommend this solution only if you want to visit both countries together. Some of the flights may require long layover in Bahrain on your way. It is up to you if you want to visit another culture just make sure you book proper routing..
Gulf Air sale is valid for purchases made till 28th of February. Travel period is then till end of May 2017. Blackout period around Easter holidays. All travel must be completed by 30th of June 2017. Max stay 3 months. To check your connection possibilities we recommend to use Skyscanner. This tool gives you quickly an idea which low-cost airlines are available from your home city. To book some affordable accommodation in Moscow, New Delhi or Mumbai you may use Booking.com. 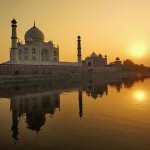 Booking sample of cheap air tickets to India – open jaw flights from Moscow return to Frankfurt €218! In this case you would fly from Russia to New Delhi on 6th of March. Your return flight from Mumbai back to Frankfurt would be on 21st of March 2017. Enter your email and choose country(ies) of departure to start receiving our Newsletters! Etihad Airways flights from Geneva to Bangkok from €388! Cheap flights from Barcelona to Chicago from €222 roundtrip! Etihad Airways free two-night stopover in Abu Dhabi! Cheap direct flights from London to Costa Rica for £299! Return flights from Dublin to Missoula, Montana from €419! Amazing Places You Have Never Heard of..
© 2012-2019 Flynous.com. All rights reserved.